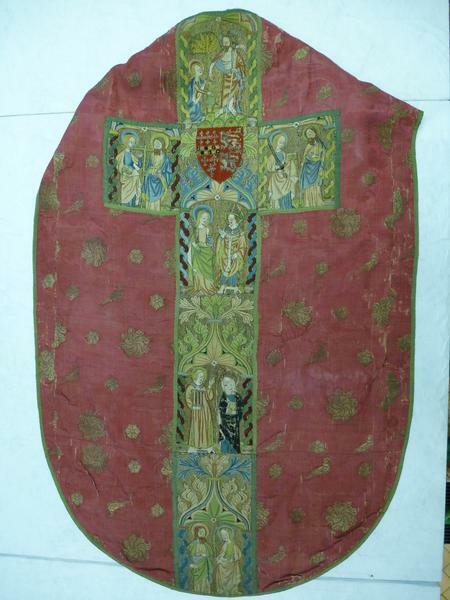 Chasuble of brocaded damask, woven in red silk and silver-gilt thread. 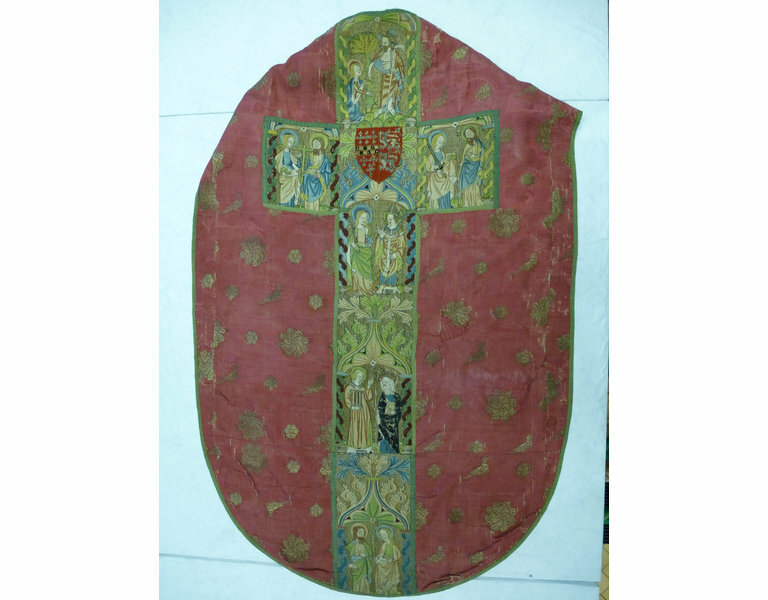 The orphreys on the front and back are embroidered in coloured silks and silver-gilt and silver thread on linen. Purchased from Monsieur Vitall Benguiat, Savile Row. 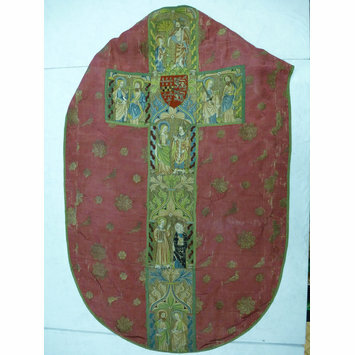 This chasuble together with the altar frontal (817-1901) are said to have come from Sawston Hall, Cambridgeshire, the seat of the Catholic family of Huddlestone.